Please note: Bruce Street is an independent ISP and not an internet reseller! Therefore our internet packages are Enterprise Class solutions, not the Consumer Class solutions that some of our resell competitors offer! Why is an Enterprise Class solution important? 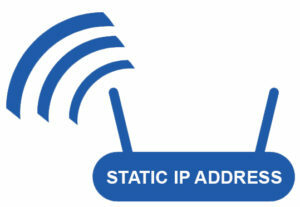 Static IP Address: If you would like to host a mail server, a file server, video cameras, etc., you need a destination address to point to. If you want an internet address to resolve to a server, you have to be able to tell the internet (via a DNS server) where that traffic should go. All of the Bruce Street packages include a Static IP Address. Consumer Class internet solutions provide Dynamic IP addresses and are therefore a moving target. They change your address on the internet constantly to prevent you from creating a stable infrastructure. 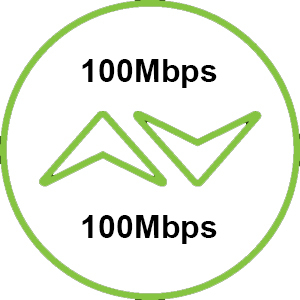 Symmetrical Speeds Availability: One way internet providers keep prices down is by offering faster Download speeds and much slower Upload speeds. The most common use for home internet users is for streaming movies, loading websites, and consuming content. Accordingly, it’s the download speed that is most important which is why on most connections, upload speed is almost always throttled meaning most packages offer a faster Download speed than Upload: 5Mbps/2Mbps, 10/2, 15/2, etc. If you are creating content that needs to be distributed through the internet, or need to back up your data offsite, then Upload speed can be equally important. Enterprise solutions provide the ability to access full symmetrical, albeit more expensive, solutions with equal Download/Upload speeds: 25Mbps/25Mbps, 50/50, 100/100, etc. It is important to understand that Consumer Class services cannot offer full symmetrical solutions. Same Pricing: For some reason many ISP’s charge quite a bit more for their business internet packages than their residential packages. 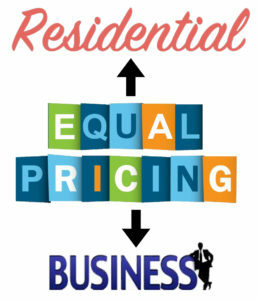 Bruce Street understands that more and more residential users are running home businesses and deserve the same price structures. For true businesses, our standard packages are robust enough to handle most typical business requirements and we do not believe it is necessary to charge more for what are the same speeds, the same features, and the same equipment! 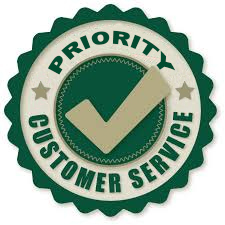 Customer Service: Many providers advertise that business customers receive higher priority customer service. Bruce Street believes all of its customers deserve the same high priority customer service and does not differentiate between business and residential customers.